Spring has arrived, and the weather in Florida is slowly climbing back up into the 80 degree range. Flowers are blooming everywhere and a sense of renewal and life is in the air. There’s no better way to celebrate the arrival of spring than visiting Epcot’s International Flower and Garden Festival at Walt Disney World in Orlando, Florida. Whether you’re a Floridian looking for a different Disney experience or you live somewhere cold that’s showing no signs of spring and you need a warm-weather vacation STAT, this is an under-the-radar festival at Disney you’ll really enjoy. Disclaimer: I attended the Media Event at Epcot for the Flower and Garden Festival on behalf of TravelPulse, which means I received free admission and some complimentary food and beverages. As always, all opinions are my own. Before we jump into all the reasons you’ll love the festival, let me answer a few quick questions. WHAT IS THE FLOWER AND GARDEN FESTIVAL? As someone who can’t even keep a succulent alive, I wasn’t sure I would enjoy an event called the “Flower and Garden Festival.” Gardening’s not really my thing, and how much was there to say about plants, anyway? I’m so glad Disney proved me wrong! I should have realized that everything Disney touches carries their signature magic. The Flower and Garden Festival was no different. It’s a celebration of spring, and what’s not to love about that? 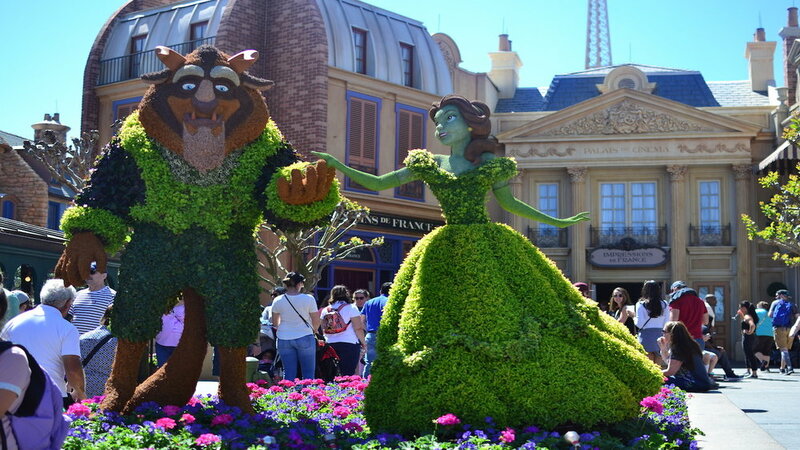 They celebrate with breathtaking floral displays and intricate topiaries shaped like characters all around the park. You’ll also want to try the food specially made for this event. You’ll find Outdoor Kitchens all around Epcot with snacks and signature beverages unique to the Flower and Garden Festival. Imagine strolling through the World Showcase with a La Vie en Rose Frozen Slushy in your hand, the fragrance of brightly-colored flowers wafting in the air, birds chirping and sun shining. Tell me you don’t want to celebrate that! Nope! All you need is a normal admission ticket to Epcot during the time the Flower and Garden Festival is going on. In 2019 it runs from March 6 until June 3, so you’ve got plenty of time to plan a whirlwind trip to Disney to enjoy this event. Ok! 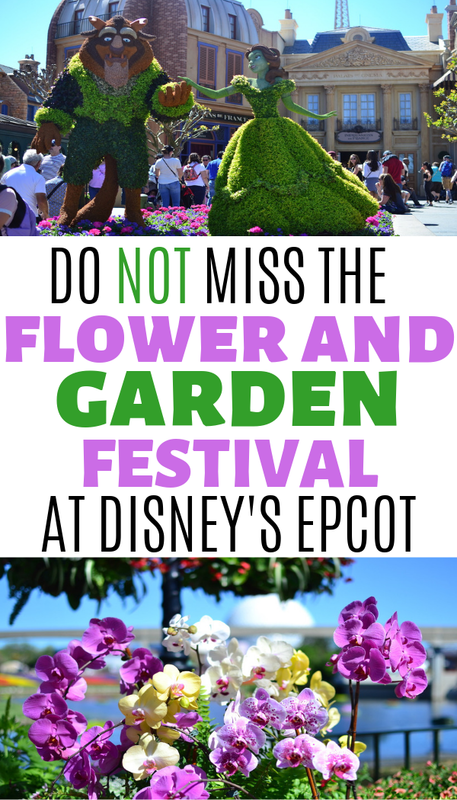 Now that you understand the logistics, here are the top reasons I think you’ll LOVE making a trip to Disney World for the Flower and Garden Festival. You’ve never seen Epcot like this! Feast your eyes on gorgeous displays of flowers everywhere you look. The vibrant colors make you appreciate spring like never before, not to mention the flowers make a wonderful background for family photo ops and Instagram pictures. If you bring your kids along - and you should - you can make a fun game of spotting and naming all the topiaries shaped like Disney characters you find all around the park. I can’t imagine how much work goes into these creations, and they truly beautify the park and add an extra element of magic. It’s exactly what it sounds like. Walk through guided gardens with tips and displays for creating your own sustainable garden at home! While it was more aspirational than inspirational for me, I really enjoyed the suggestions and felt like even I could implement them if I had the time and inclination, and if we weren’t still renting. This display garden doesn’t take long to walk through, so kids won’t get too bored. The Imagination Play Garden is the perfect spot to bring your little ones to escape the craziness of the park. There is a musical maze with larger-than-life musical instruments to try, a climbing net, large tic-tac-toe games, and lots of beautiful hedges and flowers to enjoy while your kids play and you relax in the shade. It wouldn’t be a celebration at Disney without some great entertainment! The Groovin’ Alps are a percussion-based band found in the Germany section of the world showcase. It’s really fun to stop and watch them while making your way, er, eating your way around the world. In the evenings, there will be a different performance each night in the Garden Rocks Concert Series, featuring artists like Steve Augeri, Sister Hazel, Lone Star, Rick Springfield, and more. You’ll find the Garden Rocks Concerts in the American Gardens Theater. Kids will love walking through the Goodness Garden Butterfly House to see butterflies in all stages of life. It’s located in Future World, yet entering the enclosed garden makes you feel like you’ve stepped into a peaceful greenhouse instead of a display at Disney. You’ll even find instructions for how to plant a butterfly habitat, so if your kids are as obsessed with butterflies as mine are, make sure to pay attention or at least snap a picture of the display! The Outdoor Kitchens are temporary kiosks with spring-inspired dishes and desserts spread throughout the World Showcase. Make sure to stop by the Honey Bee-stro hosted by the National Honey Board with dishes like Honey Tandoori Chicken Flatbread and Local Wildflower Honey-Mascarpone Cheesecake. A few of my other Outdoor Kitchen favorites were the Pulled Pig Sliders from the The Smokehouse: Barbecues and Brews (America), and the Carne Guisada served with Cilantro Lime Sour Cream at the Florida Fresh kitchen between Morocco and France. One of the coolest parts of the Flower and Garden Festival is the opportunity to try some infused drinks created for the Outdoor Kitchens. Many of them are alcoholic (this is Epcot after all), but you can definitely find non-alchoholic choices, too! One of my favorites was the Frozen Lemonade with Firefly Blackberry Moonshine, found at The Smokehouse: Barbecues and Brews. They also offer a simple Frozen Lemonade (non-alcoholic). Other fun drinks you’ll find around the park: Rose Margarita at Jardin de Fiestas in Mexico, Tropical Freeze at La Isla Fresca, Frozen Dessert Violet Lemonade and Pineapple Soft Serve with Fanta at Pineapple Promenade, and La Vie en Rose Frozen Slushie (alcoholic) at Fleur de Lys in France. You can always count on Disney to put out special merchandise exclusive to their Festivals! 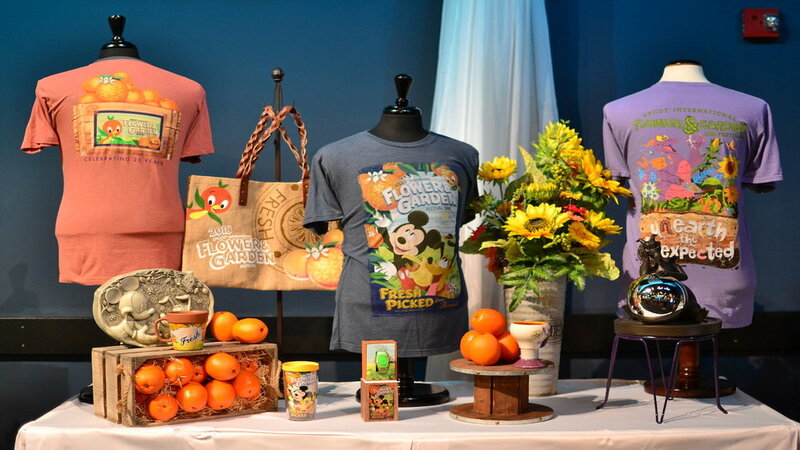 I loved the designs of the t-shirts, water bottles, and other keepsakes from the Flower and Garden Festival. It had such a lighthearted, cheerful feel to it! Look for special trading pins, mugs and water bottles, t-shirts, planters, tote bags and more. Can’t wait to see what they come out with in 2019! Does anyone else have kids who are OBSESSED with the Cars movie franchise? Mine have large parts of Cars 3 memorized, and can act it out while playing with their Lightning McQueen and the gang toys. They would LOVE the Cars-themed garden in Future World! There is a Lightning McQueen topiary with an interactive play garden nearby where kids can run off some steam. You can pick up passports when you enter the park to help you keep track of all the gardens and topiaries you see during your time at Epcot. It’s such a fun way to get kids involved and to help them appreciate all the work that went into making Epcot so beautiful. You can also buy a Spike’s Pollen Nation Exploration Map and use it to help you find Spike hidden among the gardens. If you fill the whole map you can return your map for a prize at the Port of Entry. ﻿The beauty of Epcot’s Flower and Garden Festival is that you’re only paying regular admission price to enter the park, but you’re getting so much more for your money. The extra play gardens, the Outdoor Kitchens, the gorgeous floral displays, and the added tours and activities for kids make this springtime fete so exciting. I hope you get a chance to go and enjoy the blooms and amazing food this year! 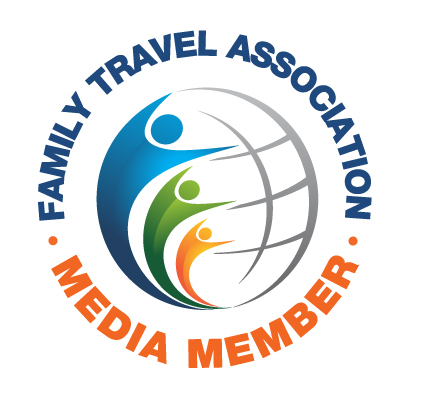 Looking for More Travel with Kids Tips? Sign up with your email address to receive news and updates, and gain access to the free resource library!